Going back to work has been humbling, because I don't tolerate mistakes, especially mine, well. I strive to anticipate the owner's needs, display a mood sparkling as our gems, and master the paperwork with aplomb, but I'm furious with myself when I issue an inaccurate invoice or can't find a stone our database says is in stock. The work feels like air traffic control, with of course, immeasurably less risk: no one dies if I don't ship his tourmalines until tomorrow morning. The owner is one of the hardest-working persons you'd ever meet, and devoted to her clients, whether selling a shy student a small citrine, or helping a luxury jeweler choose a pair of three-carat pear-cut sapphires. I want to match that professionalism. I enjoy the work, and on days when I've accurately filled orders, served customers who thank me warmly, and fielded inquiries efficiently, even the aquamarines, who can be touchy and grand, are satisfied. (I give the stones personalities, just like pets.) I take notes about—shall we say—"opportunities for improvement", determined to get.it.right. And doing this in French? I am fine in person; on the phone I'm like the dog in the Larson cartoon: sometimes all I hear is, "Bonjour, avez-vous blahblahblah améthyste blahblah 4mm, ou je voudrais blahblahblah, par FedEx?" 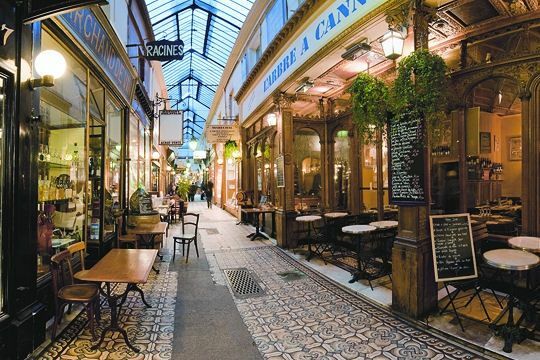 I alert the caller that French is not my first language, the pace slows a bit, we proceed. As far as jewellery knowledge to pass on goes, here's a tidbit you may already know: there's a world of gorgeous, less-costly gemstones out there, less publicized than diamond, ruby, sapphire and emerald, but terrific buys when well-cut and set, especially as necklaces and earrings. Zircon: Available in luscious blues, purple, red, pink; forget the high school class ring connotation of imitation zircon, and scout out these beauties. Sometimes I about weep when a stone carries the "semi-precious" pedigree, because zircons are just so striking. 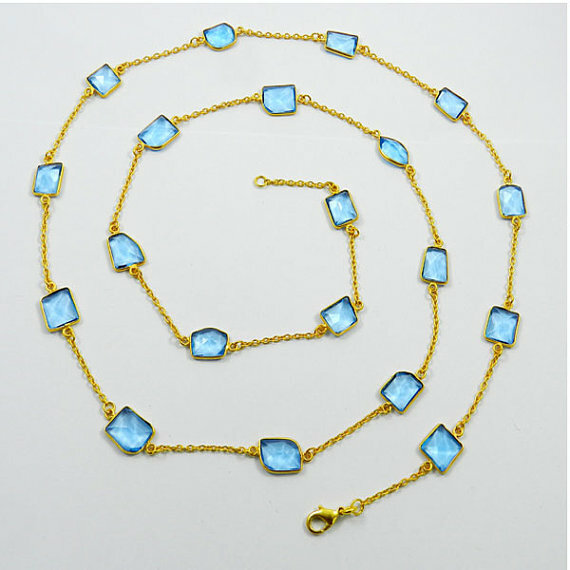 Topaz: Irradiated to produce those pools of blue, topaz is a low-cost luxury in all hues save the pricey Imperial variety. I chose this chain, produced in Jaipur by Shining Gems, to show that $25 can buy a pretty spring bauble. Of course at this price the 36-inch chain is gold-plate, but I loved the irregular cut of the 8-mm-1-mm Swiss Blue stones, and think it's a really fun piece. Agate: In agates, a form of quartz, nature's hand is especially painterly. 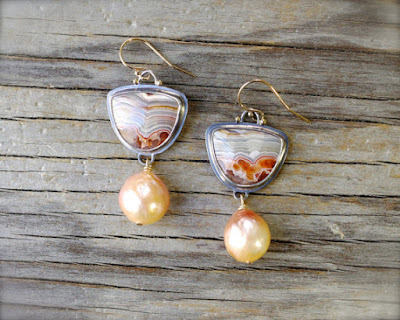 I like the Crazy Lace variety, with its dramatic banding; when Forest Book combines it with Kasumi pink rippled pearls, the earring is elegant yet relaxed enough to wear with, say, a denim shirt. Price, about $175. Yes, I'll get pearls in here, I will! Thanks for hanging in with me during this adjustment; next post is at whim, and I hope you'll stroll through to read. Bonjour Duchesse, lovely to see you're still with us! What fun to play with your 'pets', all the beautiful gems. No doubt the basics of the job will get easier with practice, leaving just the enjoyment I hope. Good to "see" you, Duchesse, and to know that you're faring well in your new job. I've been looking for a reasonable alternative to sapphires for a ring (I wear a lot of blue). Perhaps I should look at blue zircons? Sewing: That depends. Zircon is 6.7-7.0 on the Mohs scale, much less durable than sapphire, which is, at 9, just slightly less durable than diamond (10). That's why I made a point of showing necklaces and earrings. Rings are subject to harder wear, so abrade and can chip. It depends on how you plan to wear your ring (often, or as an occasional piece, what I call a "restaurant ring"). A zircon won't stand up nearly as well to daily wear, but if you set it in a bezel to protect it, that would be a good alternative, and the stone is not costly; should damage occur, it's not so expensive to replace. Tanzanite is another beautiful blue gem, and also about as hard as zircon. But any ring, even diamond (10 on the scale) can chip or scratch over time-and some settings leave the stone more susceptible. Take a look at blue topaz, not the over-processed super-neon ones, but the light to Swiss Blues that look like aquamarine. In the hands of a good jeweler (splurge on the setting) that can be a mesmerizing stone. If you decide you prefer the durability of sapphire, consider building a collection of stacking rings, so you can spread the cost over time, and even play with the rich range of colours. So exciting to see you pop up in my email this morning, lovely of you take the time. Clearly you're a perfectionist like me and that can be hard. I feel exactly the same way when I don't 'get' something. It also inhibits me from starting new things, like my beading, so far I've bought stones but not moved forward. So congratulate yourself on making the plunge even though the water may be a little rough at times. You will succeed. And, as always, thanks for sharing your knowledge and experience. Lovely to see your post this morning! Your professional attitude is shining right through like these gorgeous gems. 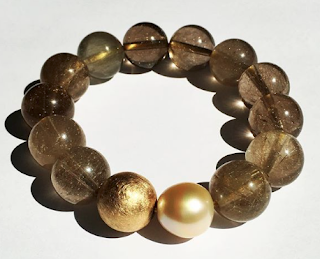 Handling beautiful stones and helping people find that special piece must give you so much satisfaction...after all you are passionate about jewelry and pearls so this sounds like the perfect fit for you. So happy to hear from you. I thought it would be a long time and wasn't checking my Favorites. You popped up my Bloglovin posts! Thank you for the info about the less expensive gems. 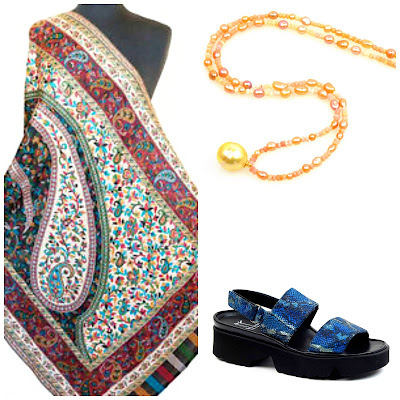 The pieces you shared are lovely and so affordable. Hope you can pass on a few more examples as time goes on. Being a perfectionist on the job is admirable, but try to ease up and enjoy. I would love an opportunity to do something of value that I love in retirement. Don't get me wrong--I am having a lovely time. But every so often, I wish for something to sink my teeth into, to offer me a challenge. I think it helps one to stay sharp and engaged. LauraH said it better than I can, but I agree: Better to risk imperfection and the stress that goes with it than to miss out on this wonderful opportunity. May I be so bold as to ask how Le Duc is adjusting to a working - again wife? I loved the first earrings - even more for the ancient Roman glass than the zircon. Interpreting is supposed to be as stressful as air traffic control, though again - except for high-level peace talks and some medical conferencing - not as likely to kill people. Please don't let yourself get engulfed in the mega-pothole at the corner of St-Zotique and St-Laurent! What a happy surprise to find you in my feed reader tonight! And I love all of your choices, especially the first earrings! Wendy; Le Duc likes it, as long as it's part time. He isn't retired yet. lagatta: The artist has a number of pieces made with that glass. LauraH: I hope you begin stringing your beads. A friend who began said she began by making some, pulling part, playing, without judgement. hostess: Thank you; the vast majority of clients are jewelers or designers; the company sells only stones. Duchesse, thank you for the suggestions. I like Karen Johnson's work and will keep her in mind. Because I would be wearing a new ring often, you've convinced me to take another look at sapphires and at protective settings. As always, your expertise is appreciated. I'm happy to see you posting too - felt very sad when you said you'd stop and also felt guilty that I'd never commented in the past (I guess I didn't realize how much bloggers are looking for feedback). I look forward to your posts so much which are so free from self promotion and so honest (laughing about the French/Larson dog, which is exactly me in French, too) and always about issues I'm interested in. 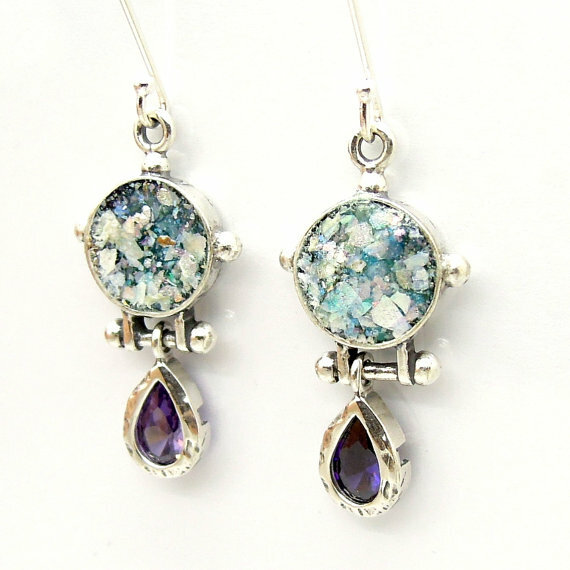 I have zipped over to Etsy to get those lovey purple zircon/Roman glass earrings, as well. Such a happy note after the seriousness of the last post! A new job and new grandma and new-ish language -- Quelle ai yi yi! Wore my square peridot studs with my aubergine pearl studs yesterday -- i think you continually subconsciously inspire me! What a nice surprise when I checked in today to find this post! I'm in love with the ancient Roman glass! How is it supplied and do you know of other jewelry that includes it? great last post and hope for more! 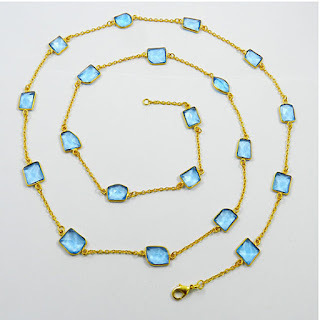 Susan: Jewelers source ancient and antique glass from antiquities/antique dealers. A lot of it comes from Israel. But it is not sold at prices comparable to precious stones, so it's not a big worry to me. Mary: Thanks, I'm gonna see if I can put it on my Kindle. It's a business full of "characters", everyone from earnest, nerdy scientists to old hippies looking for a way to fund world travel, to serious, no-nonsense businessmen running businesses owned by their families for generations. Just all kinds, and the vast majority have been great to meet.